The Bowflex SelectTech 552 is a hot product on the market right now. If you are looking to amp up your fitness life, this is a great place to start. The Bowflex company has been in the game for many years, and they continue to outdo themselves with state-of-the-art products that increase wellness. 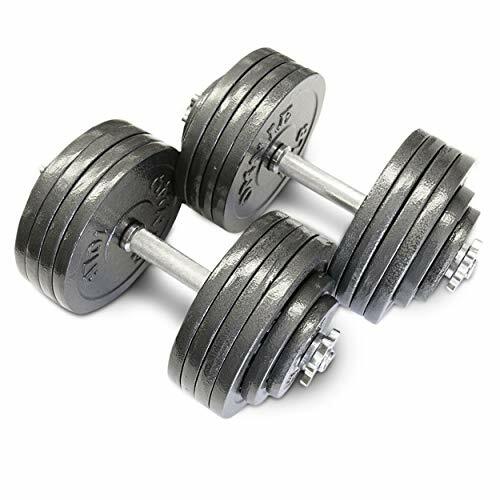 The 552’s have the highest user rating out of any set of dumbbells on the market. While many might buy these dumbbells for the Bowflex name, you can be guaranteed that the purchase is well worth it due to the state-of-the-art technology. 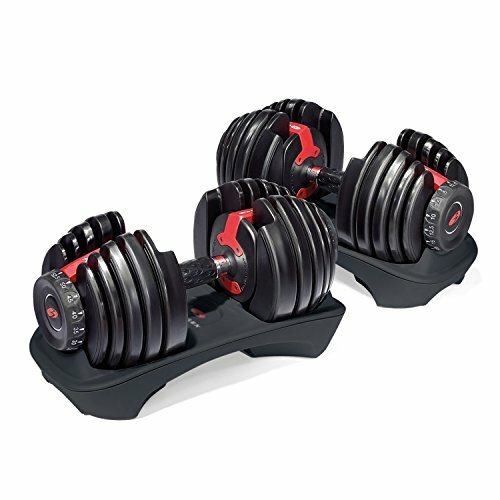 1 What is the Bowflex SelectTech 552 Adjustable Dumbbell? 2 What are its Key Features of Bowflex SelectTech 552 Adjustable Dumbbell ? What is the Bowflex SelectTech 552 Adjustable Dumbbell? The Bowflex SelectTech 552 Adjustable Dumbbell is not a product that is new on the market. In fact, adjustable dumbbells have been on the market for years. This specific product is rather a new and improved version of the adjustable dumbbell product that Bowflex is known for. Before the creation of this product, weight plates on dumbbells involved pins, screws, and removing or adding the plates yourself. This new, unique dial system allows you to quickly switch weights during your workout for easy flow and repetition. This product is extremely easy to use and a huge space-saver, so it won’t take up room in your fitness area. Instead of working with 15 sets of dumbbells, the Bowflex SelectTech 552 is one product encompassing many uses. Say goodbye to the traditional dumbbell rack that causes a mess in your workout room. What are its Key Features of Bowflex SelectTech 552 Adjustable Dumbbell ? The Bowflex SelectTech come with various key features that make it unique. The state-of-the-art adjustable dial system allows for use of only 1 set of dumbbells as opposed to the common 15 set dumbbell stack. Each dumbbell adjusts from 5 to 25 pounds easily – simply turn a dial. The adjustments run in 2.5-pound increments for the first 25 pounds. Each dumbbell has about 15 weight settings: 5, 7.5, 10, 12.5, 15, 17.5, 20, 22.5, 25, 30, 35, 40, 45, 50 and 52.5 pounds. This wide range of weight settings allows for a large variety of exercises to be included in your workout. The dumbbells are encased in a durable molding that keeps the metal plates from clanging together. It should be kept in mind, though, that the casing is not made for multiple hard drops and will become damaged if dropped too frequently. A variety of workouts is able to be performed with this set of dumbbells. You can work out your back, chest, arms, legs, abdominals, and shoulders. Add on more weight to incorporate lunges and shrugs, and lighten up the dumbbells for curls and raises. The nice ergonomic handle is perfect for a comfortable grip while working out. Your hands won’t slip and there is no added discomfort due to the textured, rubber handles. With the Bowflex SelectTech 552s, over 30 different workouts can be done. All of this in one adjustable set of dumbbells is an amazing piece of exercise equipment. The innovative design allows you to smoothly and effectively switch between exercises during a workout without being interrupted with fumbling and frustration. When working with these dumbbells, it would be wise to get into a workout routine in order to get the most of out of the product. It is important that you take the time to see how each exercise works best for you. Find the right resistance, customize the workout, and choose the best weight – taking your time will permit you to achieve better results. TWO 16-INCH TEXTURED CHROME HANDLES coated in high-quality chrome for a secure, non-slip grip. This set does NOT include the chrome barbell rod section. EASY STORAGE: Compact, all-in-one dumbbells eliminate the need for multiple dumbbells in your gym, garage, or workout space. Takes seconds to assemble so you can focus on strength exercises, toning muscle, and losing weight. Five-year warranty on weight plates and parts. Bowflex has been a leader in the exercise world for a number of years. The Bowflex SelectTech 552 Adjustable Dumbbells have proven to be a solid contender for many home fitness gurus. These dumbbells truly excel in every category when it comes to an adjustable dumbbell system. If you are looking for ease and flexibility when working out, the Bowflex SelectTech 552s are perfect for you. These dumbells are expensive, there’s no denying that. If you are looking for something cheaper for your home gym, here are some Bowflex SelectTech 552 Adjustable Dumbbell alternatives.